Sen. Edward Markey (D-Mass.) promised Congressional hearings into whether Columbia Gas ignored warnings from a longtime employee. Markey told the NBC10 Boston Investigators Columbia Gas’s response was “inadequate,” and promised hearings after the new Congress convenes. Senators sent six detailed questions to Columbia Gas, and Markey said the utility answered none of them. Sen. Edward Markey (D-Mass.) promised Congressional hearings into whether Columbia Gas ignored warnings from a longtime employee that, if heeded, could have prevented the explosions in the Lawrence area, in response to an NBC10 Boston investigation. Just days after the NBC10 Boston Investigators story aired, Markey and Sen. Elizabeth Warren, both Massachusetts Democrats, fired off a scathing letter to Columbia Gas demanding answers. 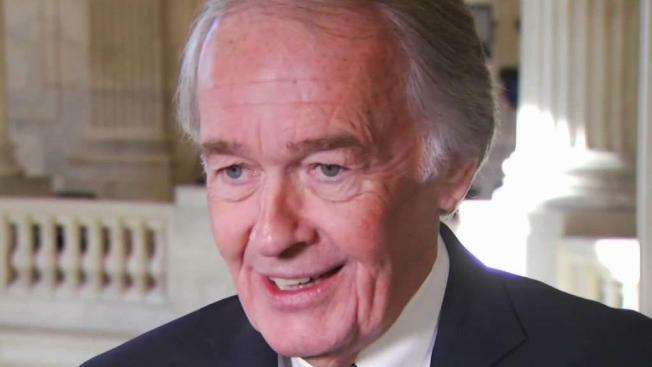 Markey told the NBC10 Boston Investigators Tuesday Columbia Gas’s response was “inadequate,” and promised hearings after the new Congress convenes next month. The two senators raised questions after seeing NBC10 Boston’s interview with a company whistleblower who said his warnings were ignored. Bart Maderios retired from Columbia Gas months before the explosions after 42 years with the company and said he had warned high-ranking managers that cuts to safety personnel and changes in policy could lead to disaster. “In particular, in the Lawrence location, the resources were minimal. They didn’t have enough resources,” he said. The two senators sent six detailed questions to Columbia Gas, and Markey said the utility answered none of them. “Columbia Gas has chosen to obfuscate, to hide information from the people of the Merrimack Valley and the United States Senate, so that’s why I am going to make sure they remain accountable every single day,” he said. Markey confirmed to the NBC10 Boston Investigators that will come in the form of Congressional hearings. “In 2019, as soon as we come back, we will set up the hearings that ensure we understand what happened in terms of the warning that Bart Maderios, an employee of Columbia Gas, gave to that company that could have potentially avoided this entire catastrophe,” he said. NBC10 Boston will follow those hearings when they happen.